ECL Magtronics Pvt. Ltd. offers a wide range of Ignition Coils which can be used in various automobiles. These Ignition Coils are manufactured using high quality raw materials that are procured from our trusted vendors. We are manufacturer, supplier and exporter of a wide range of Ignition Coils. All the products from this range can be availed in different size and specifications, however, if required with a beforehand made agreement, we can also provide these crucial industrial fitting products in specifications, as required by the client. Flywheel And Ignition Coil for brush cutter, chain saw, hedge trimmer, lawn mower, riding mower, long pole saw etc. suitable for mitsubishi, Honda, Oleo-Mac, Maruyama, Stihl, Chines brush cutter, Hi-max and many mores. 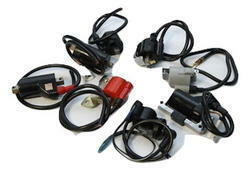 With enriched industrial acquaintance, we are presenting our products a varied range of Vespa Ignition Coil. Owing to their best quality and rust free nature, these are extremely demand. We manufacture Solenoid Ignition Coils . These are used in various commercial and industrial applications, our ignition transformers are amongst our most efficient and popular transformers. These ignition transformers are manufactured from reliable material and are known for their features of durability, shock proof and long service life. Oil Filled & Epoxy Filled - Ignition Coils & Energy Transfer Coils. Avail from us premium quality Ignition Coils, which have gained wide imminence all over the world. 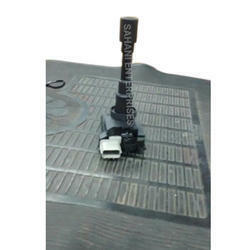 Our range has finds huge application in auto industry for a variety of purposes. We used quality stuff for manufacturing our range which is widely known for power-packed performance in all road condition.